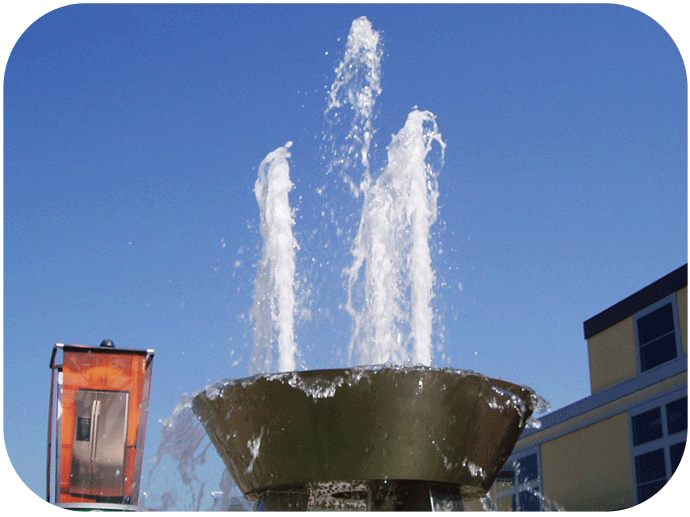 Custom built fountains are one of Waterworks International's specialties. We work closely with Architects, Engineers, Contractors and Designers to ensure your project is completed under budget, on time, and done correctly the first time. 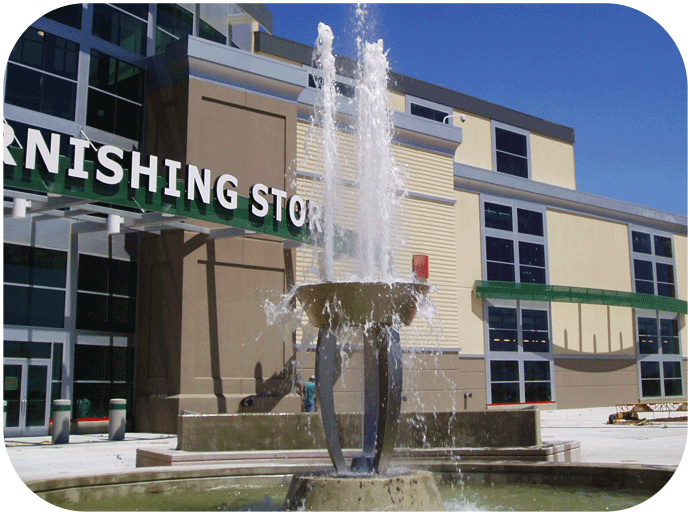 Our design team has over 100 combined years of experience creating fountains to your specifications. 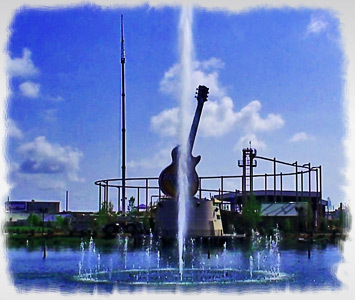 We have provided water effects, equipment and expertise to the likes of Disney, Universal Studios, Busch Entertainment, Six Flags and many, many municipalities, private businesses and individuals. No job is too small or too large for Waterworks International. Since 1986 we have been shaping water to catch the eye and inspire awe. We take great pride in hearing people say, "How did they do that?". At Waterworks we never stop experimenting (okay, playing) with water to try to create new and unique effects to dazzle onlookers and provide entertainment. Is it Water or Glass? Waterworks International holds 16 patents onLaminar Flow nozzle technology which allows you to create unique features only available from Water Works. 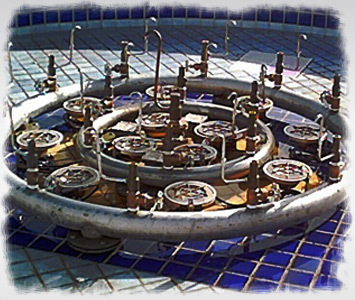 Our "Jumping Jets" can span long distances while retaining thier solid appearance. 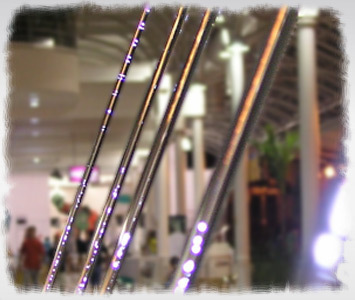 Waterworks International can fulfill your requirements whether you want to light up the night with dazzling colored laminar streams or amaze with architectural fountains that dance to music. 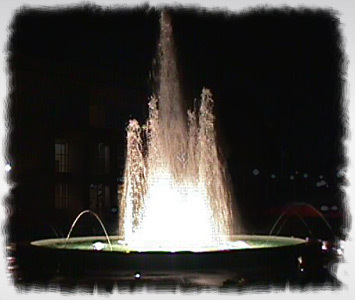 At Waterworks fountains are our specialty: Our design team is capable of designing stunning, massive outdoor displays timed with music and lighting effects and fountains that rise hundreds of feet into the air. 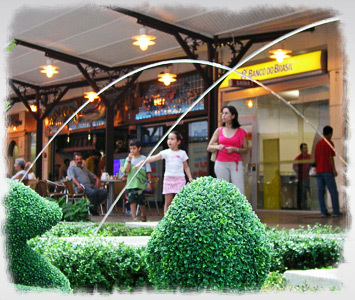 In contrast we also create delicate and elegant stand alone fountains to compliment indoor decor. Waterworks staff work closely with Architects, Engineers, Contractors and Designers to ensure quality. -With our knowledge and experience your ideas will become reality. 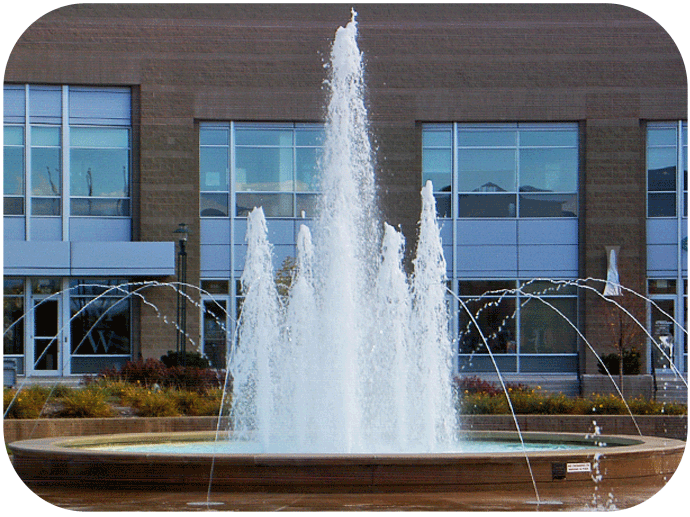 Browse our large selection of fountain components for inspiration. Very visible uniform column of white aerated water with adjustabel aeration. Air intake sleeve is adjustable : sleeve up ; spray heavier and lower, sleeve down ; spray lighter and higher. Sleeve lockable. 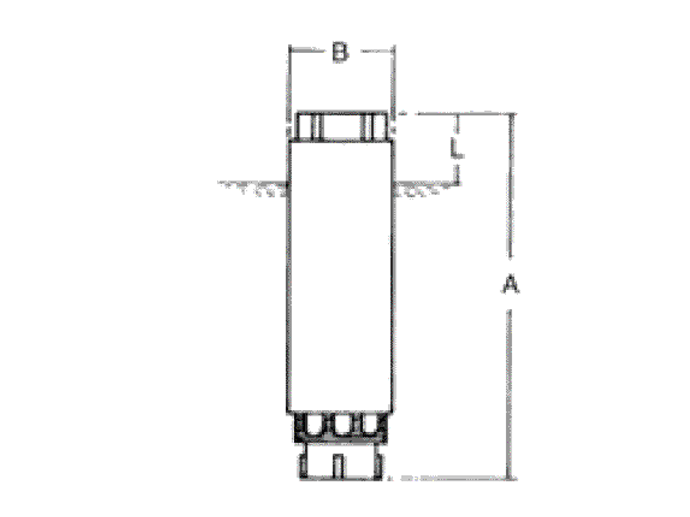 Inlet NPT Female 0.75" 1.00" 1.25" 1.50"
Inlet NPT Female 2.00" 2.50" 3.00"